Dollar for dollar, Winnipeg is a great place to run a business. Low corporate taxes, low skilled labour rates, low energy costs, low health-care premiums, low transportation costs… the list goes on. Winnipeg’s advantageous business environment makes it easier for businesses to succeed. Whether from land, labour, utilities and incentives, Winnipeg allows the type of affordable costs that allow companies to flourish. Word is spreading about the city's favourable standing relative to its competitors. In KPMG's Competitive Alternatives (2016) report, Winnipeg has the lowest overall business costs in Western Canada, and its costs are lower than every U.S. city surveyed. KPMG's Competitive Alternatives (2016) report notes that Canadian business tax costs on average 47.6 per cent less when compared to the U.S. Note: total tax index includes corporate income tax, other corporate taxes and statutory labour costs. Local business leaders are often asked what differentiates Winnipeg. One answer that repeatedly comes up is its supportive business community. Individuals place high value on networking and building professional relationships, creating a collaborative and supportive business environment. From a well-supported Chamber of Commerce to robust industry associations, Winnipeg has an infrastructure of institutions that is arguably more in-depth than other similarly-sized major centres. From the Business Council of Manitoba to The Associates of the Asper School of Business - to cite just two examples among many - Winnipeg's business leaders have multiple opportunities to connect with their peers within structured environments. The not-so-hidden secret advantage aspiring networkers find in Winnipeg is in the informal ways everyone in the community, from business to government and beyond, help make things happen for each other. 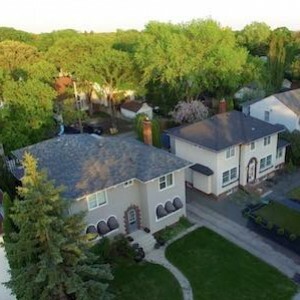 Even in cases where those involved are direct competitors, Winnipeg's business elite are hardwired to assist each other with advice, opportunities and solutions that contribute to the overall health of the city. Winnipeggers are talented, educated and ready to help companies succeed. With the second-highest average labour productivity growth in Canada from 2010 through 2015, Manitobans know what it takes to get the job done. With a proven track record of commitment, Winnipeg’s workforce is one of the greatest assets for its businesses and its economy. The reputation of any given company—and the quality of the products and/or services it offers—is only as good as the people standing behind it. And in Winnipeg, these people are of the highest caliber. The city's business leaders repeatedly applaud the skill and dedication of the local workforce in accounting for their collective achievements. Top-notch graduates from Winnipeg's colleges and universities—and government programs designed to attract skilled workers to the province—make Winnipeg an ideal place to locate or expand a business. Manitobans work an average tenure of 110.2 months, seven months more than the Canadian average. Manufacturing sector wages in Winnipeg are among the most competitive of any major city in Canada at $889 weekly, over eleven per cent lower than the Canadian average of $1,000. In 2016, Manitoba's percentage of unionized workers in the private sector decreased to 17 per cent, from 18 per cent in 2013. In 2016, Winnipeg was the fifth-youngest metropolitan area in Canada; as of July 1, 2016, Winnipeg's median age was 38.1 years. Manitobans are more productive. In 2015, firms operating in Manitoba lost only one workday for every 1,000 employees across all industries - significantly lower than the national rate. 76.3% of Manitoba's labour force has completed some level of post-secondary education. Manitoba's workforce boasts an unemployment rate of only 5.6% - the fourth-lowest of any Canadian province. due in part to a dedicated economic immigration stream, known as the Provincial Nominee Program. This best-in-class initiative targets immigrants with particular skills to meet the needs of Manitoba's industries. This expedited process has welcomed tens of thousands of new workers to Winnipeg, and boasts a retention rate of over 95% once immigrants have taken up Winnipeg residence. Situated at the geographic centre of North America, Winnipeg enjoys an enduring legacy as a key transportation hub for several major continental and global transportation routes. At the turn of last century, Winnipeg was nicknamed the ‘Gateway to the West'—and that mentality remains today with access to transportation routes and hubs in every direction. The Mid-Continent Trade and Transportation Corridor consists of a series of interconnected transportation systems—including rail, road, air and marine options—running from the centre of North America through the American heartland to Mexico. Over $10 billion in annual two-way trade occurs between Manitoba and the U.S.
Key cities along this corridor include Winnipeg, Minneapolis, Kansas City (Kansas), Kansas City (Missouri), Oklahoma City, Dallas-Fort Worth, Austin, San Antonio, Monterrey, Guadalajara and Mexico City. Winnipeg has a major intermodal transfer centre and Provincial Highway No. 75 connecting the province with the United States Interstate system's I-29 and I-35. I-35 connects the United States to Mexico through the southern Port of Laredo. Winnipeg is a critical transportation centre between Vancouver and Toronto, and it's the only major city between Thunder Bay and Vancouver with direct rail connections to the United States. The city also boasts a celebrated airport that continues to win accolades, and some of Canada's biggest trucking firms are headquartered here. Parked at the intersection of key trade and transportation corridors heading in all directions, Winnipeg is also home to CentrePort Canada, North America's largest inland port, which boasts foreign trade zone benefits. This 20,000-acre initiative expedites the movement of goods economically and efficiently to North American, Asian and European markets. Winnipeg has one of the best R&D tax regimes in the industrialized world. With multiple investment sources to help develop innovative ideas, cutting-edge research projects have the ability to succeed here. Winnipeg belongs at the top of the list when it comes to places that encourage research and development. 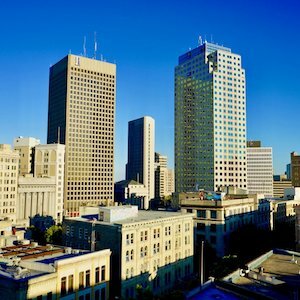 From tax breaks to talent, Winnipeg's unique R&D environment helps make the city a main attraction for companies with significant R&D components. Added to this advantageous mix is the provincial government's participation in R&D assistance. Provincial departments are closely aligned with local businesses and schools to ensure that Winnipeg remains a highly viable—and productive—R&D destination. The city's post-secondary institutions graduate highly skilled professionals who stay and work right here, making Winnipeg’s post-secondary schools a leading space for R&D. This is a tremendous boon to area businesses, whether their products are destined for international locales or domestic markets. The R&D-related collaboration that exists between industry and academia is a real asset for the local market. Winnipeg's colleges and universities are in constant contact with the city's business community to ensure that graduates are trained with the specialized skills required to excel within critical industry sectors. Moreover, these schools regularly dialogue with each other to ensure that the programs each institution offers remain relevant. Our Incentives page has a list of available R&D incentives and partnership opportunities. Winnipeg has among the lowest published electricity rates in North America for small, midsized and large consumers. As well, nearly all electricity Manitoba Hydro generates comes from self-renewing water power. A provincial Crown corporation, Manitoba Hydro has maintained its position as one of the lowest-cost providers of electricity in Canada, and it's also a major distributor of natural gas in the province. Nearly all electricity Manitoba Hydro generates each year—over 98 per cent—comes from self-renewing water power, a major asset to Winnipeg companies growing increasingly conscious of the ethical and economic benefits associated with having a low carbon footprint. As many jurisdictions introduce carbon-tax legislation, Manitoba's clean energy is becoming a tangible competitive financial advantage. Winnipeg offers many advantages for business, but is also an incredible city to live in. For more great information about life in Winnipeg, we invite you to explore the Live Here section of this website.